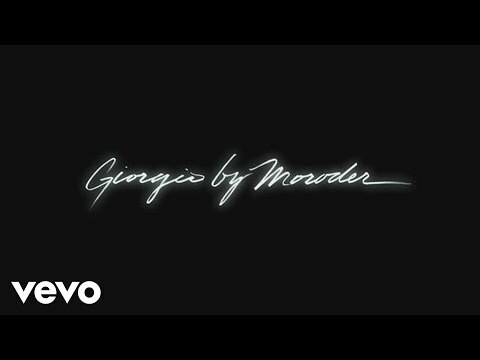 DID NOT KNOW THIS ABOUT GIORGIO MORODER? Many of you probably have no clue who he is. I’m glad I did as I learned things I did not know. Things get intense towards the end of this vid. After a long career in which he revolutionised the world of pop, Italian producer Giorgio Moroder is, at 78, embarking on his first live tour. He will play across Europe, including four dates in the UK in Birmingham, London, Glasgow and Manchester from 1-5 April 2019, performing on piano, vocoder and synths alongside a live band and vocalists. Tickets will go on sale on Friday, 12 October at 9am on the website Live Nation. Moroder began DJing and producing pop music in the mid-1960s, and scored his first major hit with Son of My Father, which he wrote for Chicory Tip, who took it to No 1 in the UK in 1972. But it was with 1977’s I Feel Love, sung by Donna Summer, that he truly changed the face of pop, using electronic production to create sensual, futuristic dance music. Summer, who died in 2012, will appear on screen at the concerts “performing in sync with Moroder and his band”. He went on to score further hits with Summer including On the Radio, Hot Stuff and Love to Love You Baby, and produced hit records with Blondie (Call Me), David Bowie (Cat People), and the Human League’s Phil Oakey (Together in Electric Dreams). He won three Oscars for his film work: best original score for Midnight Express, plus two best original song awards, for Flashdance… What a Feeling by Irene Cara, and Take My Breath Away by Berlin, taken from the Top Gun soundtrack. He also scored Scarface, American Gigolo and other films. After returning to prominence in 2013 with a collaboration with Daft Punk on their album Random Access Memories, he released a solo album, Déjà Vu, in 2015. It featured artists such as Kylie Minogue, Britney Spears, Sia and Charli XCX.